This is part 3 of a 4 part mini-course on budgeting and pricing for designers working on their first clothing line. Sign up here to be emailed part 4 and we’ll also give you access to the costing template we use for all of our customers! Read part 1 and part 2. How you price your clothing line is a huge part of building a successful foundation for your business. Determining the best price, one that both competitive and sustainable for growth, is crucial. Once you understand your cost per unit, you can begin to arrive at the pricing of your garments. Of course, it is not that simple. You cannot choose your pricing in a vacuum. You also have to consider the spending power of your target customers and competitor pricing. If your costs are high but the spending power of your target customers low, you will have to adjust your sourcing or marketing. This is a typical first mistake as new fashion designers adjust to the realities of the business. On the other hand, if your branding is strong and the spending power of your target customers high, you may even be able to take a value rather than cost-based approached to pricing, which is the best situation a fashion designer can be in. In other words, using the keystone pricing recommendations below, you might arrive at a garment price of $100, but your customers may be willing to pay $150, in which case you should price your garment accordingly. That is an enviable position to be in and is typically out of reach for first-time fashion designers. In general, there are three approaches to pricing. Keystone pricing, industry benchmarks, and industry surveys are all common ways to determine retail prices. It is likely as you develop more experience with pricing that you will use a combination of all three. Keystone pricing is the most common way brands determine their retail prices. 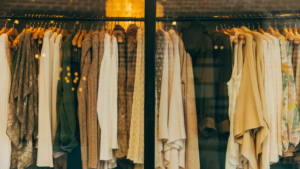 One benefit is that it is simple: just double your wholesale price, in other words, a 100% increase, and you will have arrived at your keystone price for your retail garments. Another similar approach is to multiply the cost of your garment by three times to arrive at the price. Why three? One third covers the cost of the clothing. Another third covers the cost of doing business. The last third is profit that you can reinvest back into the business for lasting growth. Based on this calculation, the total cost of both labor and materials for the blouse should be $10. This cost ceiling will likely limit your selection materials and may require that you either adjust the garment or produce more to get a lower cost per unit. No fashion business operates in a vacuum. There’s an incredible amount of freely available information out there that can help you choose your mark-ups in combination or separate from keystone pricing. We recommend visiting the Retail Owners Institute. They offer free access to the markups of numerous retail verticals. Their report will be an invaluable source of information and a reference point you can use now and far into the future for mark-ups and much more. Another approach is to survey your competition. If you have conducted a competitive analysis, you should have a handy list of competitors and their websites to understand typical mark-ups. If your target customers are spending $50 for a blouse, you cannot price your clothing line at $100 because your costs dictate it. Something will have to change. You will always want to be aware of what your competitors are doing and use similar garments in the industry to benchmark your prices. Look out for trends, compare your garments in terms of both quality and prices, and systematically arrive at a retail price based on the available data. At that point, you can also work backward to a product price using the principle of keystone pricing. Pricing will always be a balance of different factors. It is a science that takes time – and experimentation – to master. 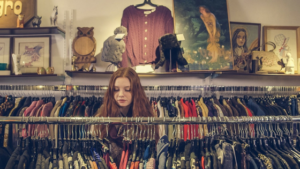 Over time, you may develop favorable relationships with manufacturers that help you reign in costs, or your target market might mature and have more disposable income to spend on quality clothes. In the beginning, it is best to operate with a close eye on costs so you can build a sustainable business. It may take you a few seasons until you find the right balance on pricing, but it will certainly come over time. In the final installment of our 4-part budget & pricing mini-course, we’ll cover mistakes to avoid when costing your first collection. Sign up here to be emailed the next installment in this budget & pricing mini course. Plus, we’ll give you access to the costing template we use for all of our customers! Read part 1 here and part 2 here. Are mental handicaps stopping your business idea from happening?